You often don’t see the topics of depression and suicide combined together in a movie marketed as a comedy. But when you do, you get a movie like this. “It’s Kind of a Funny Story” is a teenage romance dealing with some serious themes in a lighthearted and intelligent way. The protagonist, Craig, is a teenager with parents who have high expectation of him. He attends a gifted program for bright students at a competitive high school. The stress of his demanding life leads him to dream of committing suicide by jumping off a bridge. Thinking that he needs some sort of quick medicinal cure to solve his depression, he makes his way to the hospital as opposed to a bridge. Craig demands to be admitted into a hospital, fearing the danger that he presents to his own well-being, and ends up in the adult psychiatric ward. Within minutes of being admitted, he notices that his soon-to-be patient mates are nothing like him and requests to be charged. However, he is denied by his new psychiatrist, and must spend five days in this obscure environment with several oddball patients on his ward before he can be considered for discharge. Craig, facing the reality of the situation, realizes that his depression is not something that can simply be cured by the hospital staff. He makes the best of his stay by exploring the facility and interacting with the strange inpatients that are become him new roommates. He befriends a particularly interesting character along the way, named Bobby, that shows him ways that the patients keep themselves entertained. There is also a love interest, Noelle, a young girl with scars on her wrists. To Craig’s astonishment, the patients he once thought were so much different than himself, are actually quite normal. Throughout his time, he learns of other people’s problems and stories and finds himself reaching out to others. He finds that he has a lot to learn from the friends that he makes. 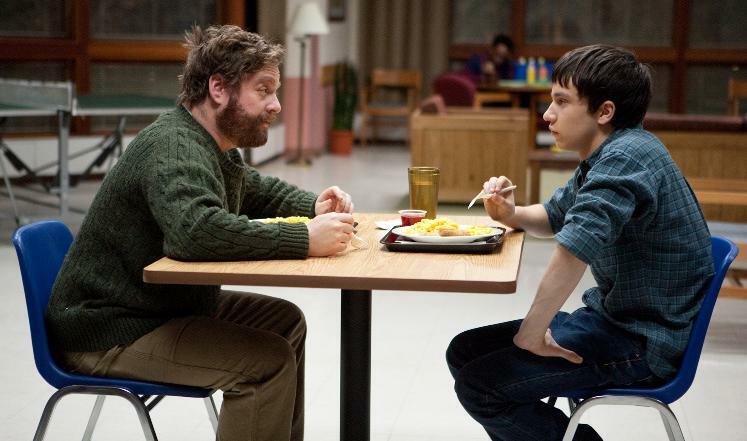 “It’s Kind of a Funny Story” tells the struggle of teenage depression and so much more. The topic of mental health is uncommonly discussed in movies and not usually publicized to students or young adults (although it is increasing now!). Nevertheless, the stigma of mental illnesses is one theme that is explored in depth in this film. It helps the audience understand mental illnesses and tackles preconceptions that surround mental health in a creative and intelligent way, encouraging the audience to adopt an open mind and fresh perspective. 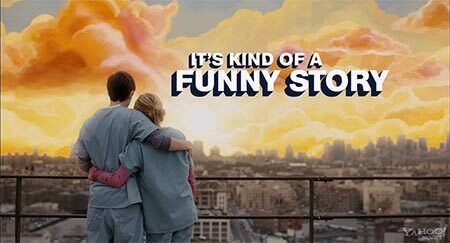 “It’s Kind of a Funny Story” delivers a stunning execution from the director and the actors, with everything ranging from the set to the character portrayals. I applaud this light-hearted take on a series of heavy topics often neglected in mainstream Hollywood films. While this is still a teenage romance movie, the experience of watching Craig journey through his adolescence is enjoyable. This film is likely targeted at young adults to address common feelings of stress, depression, and anxiety that are familiar to many students. As a university student myself, I closely related to the parallels featured between this movie and my life. With that said, the messages of this movie can be appreciated by anyone; feelings of being overwhelmed and bogged down are shared by many. I am truly glad to have been recommended this movie by a good friend when I was feeling down as because it takes on a bubbly approach to some dark emotions, making for an intriguingly deep and heartwarming film. So if I may do the same, I recommend this movie to you as it is a cleverly made piece that sticks out from other teenage romance counterparts.